these look great! 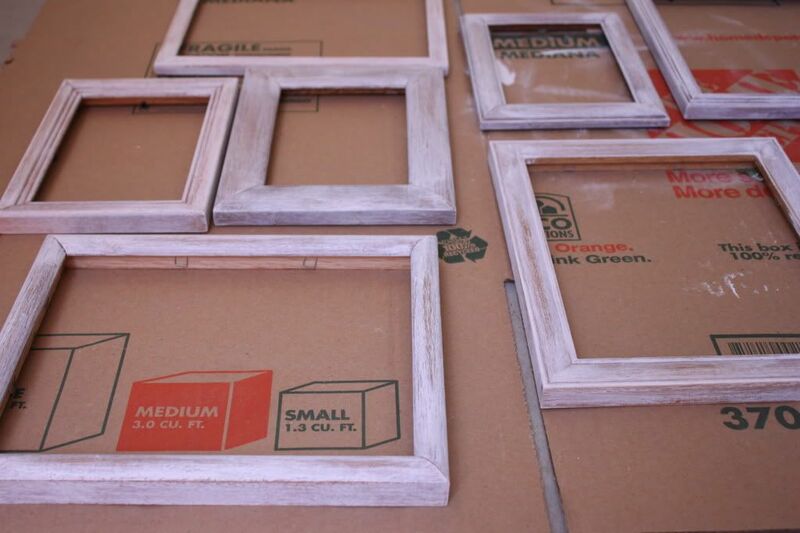 I spent all day yesterday cleaning out the garage and eliminated a ton of frames laying around. i love this idea for unifying a bunch of mismatched ones. 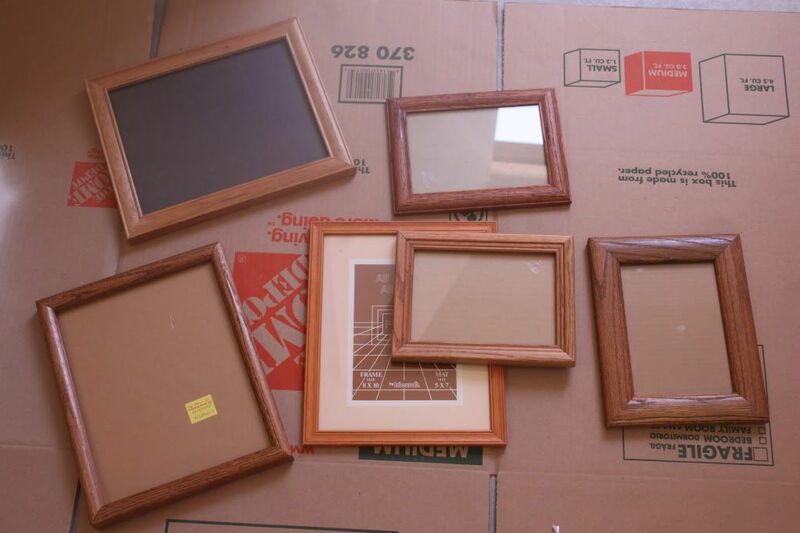 Oooh, I love the distressed picture frames! 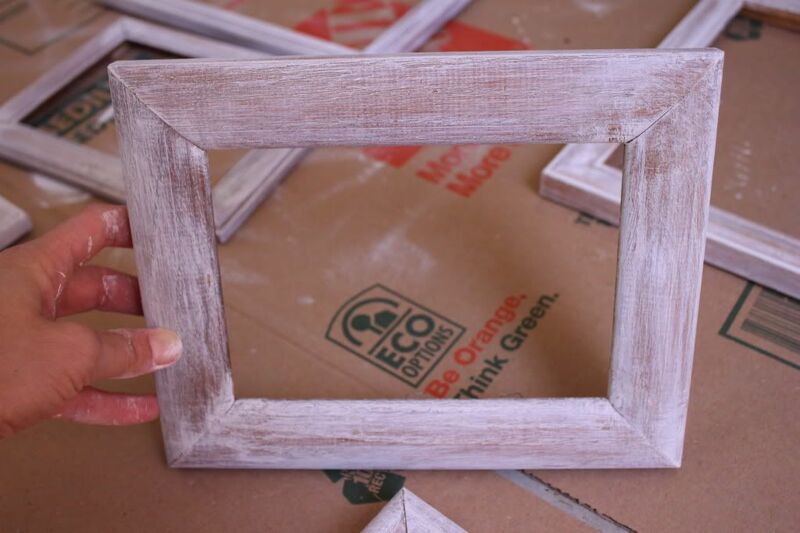 Old country-style white frames are my favorite - these look so pretty all together on your wall! And I love how you describe your style as shabby chic, French country, and anthropologie - that is my favorite look - I couldn't have described my own tastes better! Thanks for the follow the other day, finally had time to check in, stop by and follow you back! Can't wait to read more. 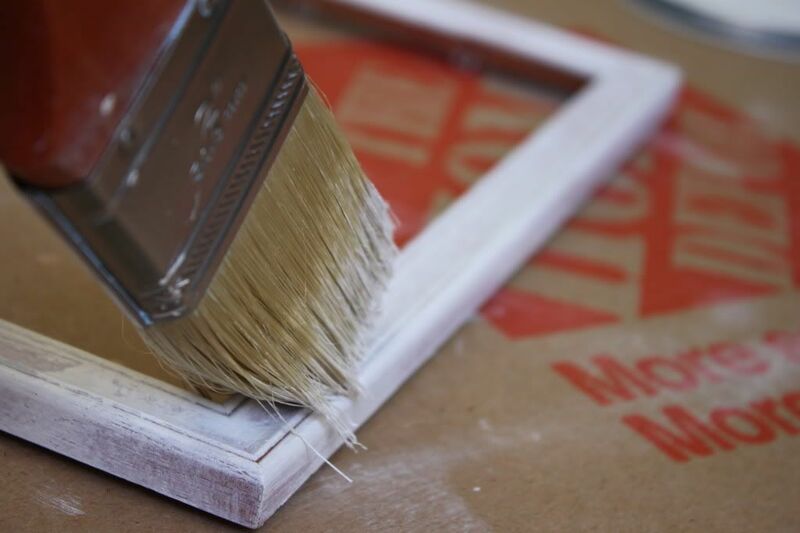 And don't be discouraged, decorating challenges me too! Wow - I love this post! 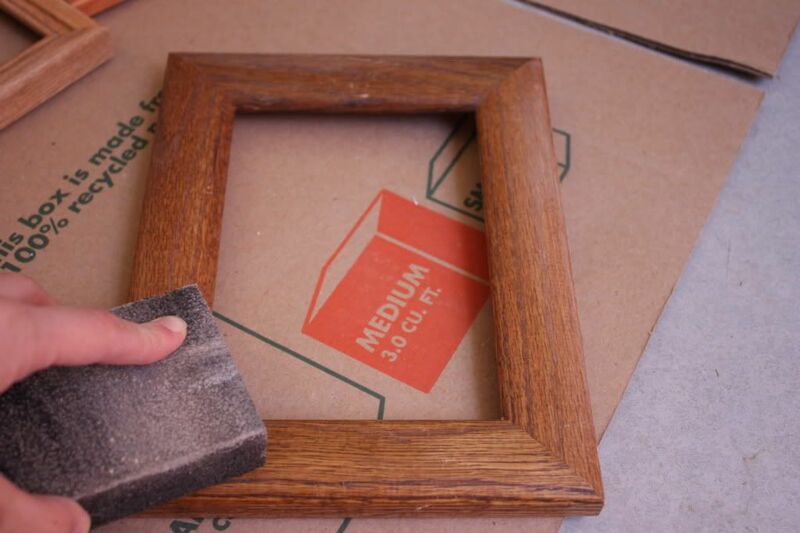 I am definitely doing this to a few old frames. 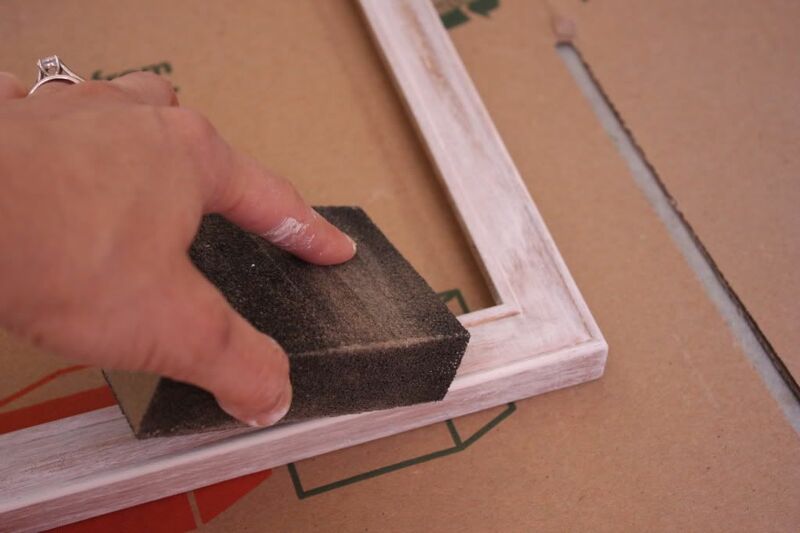 Wow so easy yet looks great! I love the country living look and this will be great to try out. Thanks for sharing! 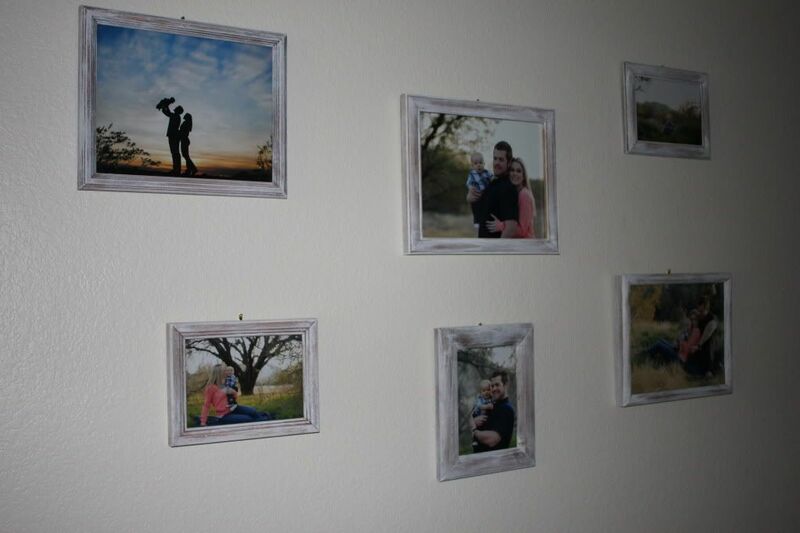 The photo wall would probably look better if the frames were closer together.